In less than two weeks, UFC Heavyweight Champion Fabricio Werdum will attempt to make his first title defense at UFC 198. It feels like Werdum has been the champ for a long time, but in actuality, it’s been less than a year. It will be nice, then, when he finally fights Stipe Miocic in a battle of two of the best heavyweights in the sport. Although that fight hasn’t happened yet, it’s natural for a fan to consider what’s next. And it seems likely that this weekend, we will find that out. Next Sunday at UFC Fight Night 87, Alistair Overeem will fight Andrei Arlovski in Rotterdam, Netherlands, in the main event of the UFC’s first trip to Holland. It’s an interesting fight not only because both men are heavyweights that pack huge power but who have questionable chins, but also because both men are training partners at Jackson-Wink MMA in Albuquerque, New Mexico. Should the Dutch superstar defeat Arlovski win this weekend, he will have four wins in a row, over the likes of AA, JDS, Roy Nelson, and Stefan Struve. 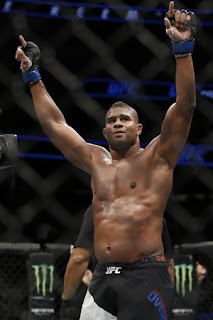 That’s a nice win streak, and in a heavyweight division where there is no clear-cut #1 contender, it puts Overeem in a really nice spot, particularly since he recently showed his dedication to the UFC by re-signing a new contract with the promotion and forgoing MMA free agency. And with his recent loss to Rothwell being expunged in a way because “Big Ben” lost to JDS, Overeem is in an enviable position to challenge for the heavyweight strap. Should Werdum beat Miocic, then a trilogy match with Overeem would be a big seller. The first fight between these two saw Werdum tap out Overeem in PRIDE. The second saw Overeem win a boring decision over Werdum in Strikeforce. It’s only natural, then, that a rematch takes place in the UFC, which absorbed both PRIDE and Strikeforce. And if Miocic wins the belt, a matchup between him and Overeem is fresh and brand new, and makes so much sense. As for “The Pitbull,” with Arlovski having recently been KO’d by Stipe Miocic, he will be rooting for Werdum to win the title fight. Back in 2007, which is crazily enough nearly a decade ago, these two fought in the U.K. at UFC 70, with Werdum losing a unanimous decision. 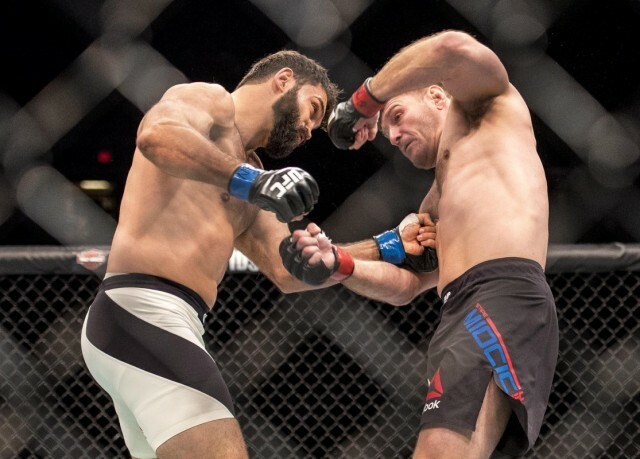 Considering it’s nearly UFC 200, a rematch would be warranted should Arlovski and Werdum both win. If Miocic wins, though, you’d have to be looking at the winner of Cain Velasquez vs. Travis Browne for the title shot. This is all with Overeem losing in mind, though, since a win by him almost assuredly grants him the next crack at the belt. The heavyweight division is among the shallowest in the sport, but Overeem is the next logical challenger for the belt. With his image, his fighting style, and his win streak, he makes the most sense to get the next crack at the belt against the winner of Werdum vs. Miocic. All Overeem has to do now is beat Arlovski this weekend. If he does, he’ll earn himself the chance of a lifetime. Now, in his home country, we shall see how he responds to the upcoming challenge. UFC Fight Night 87: Overeem vs. Arlovski takes place on May 8, 2016 at Ahoy Rotterdam in Rotterdam, Netherlands. Click the stars to rate how good you think UFC Fight Night 87 will be.